Our stall for Weaving Ossett's History at 'Love 1940's Ossett' on 9th Sept 2017 provided an opportunity to learn more about some of the images in the Ossett and Gawthorpe Community Archive. Here are a couple of stories which people shared with us on the day. 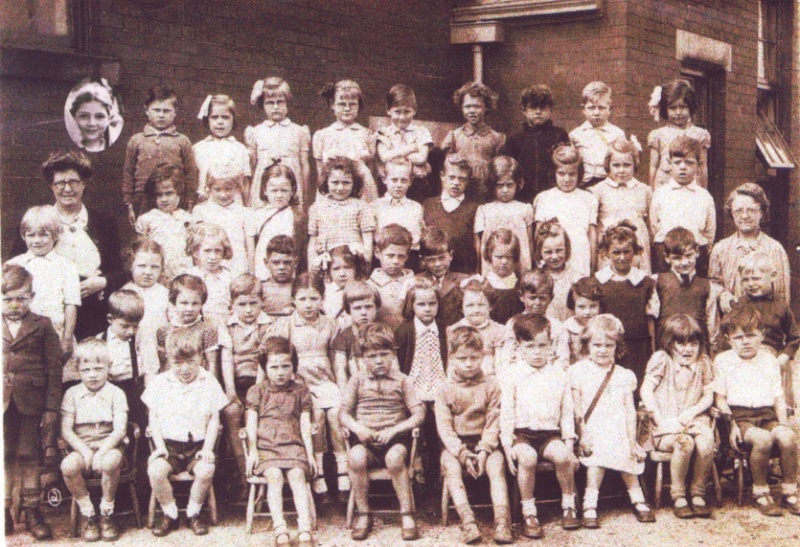 Two classes of Flushdyke School in 1946. Note the superimposed image of Margaret Brammer in the top-left corner. Our photo board for the event included this image of two Flushdyke School classes taken in 1946. The majority of the children are unsmiling or appear to be squinting a little in the sunlight but one face, floating in it's own bubble in the top-left corner, is radiant. Who could she be and why was her image superimposed upon the photograph? A sketch by Douglas Brammer from the publication 'Sketches of Past Times Flushdyke and Ossett’. Mike Adams (of Ossett and Gawthorpe Community Archive) knew that the smiling child was in fact Margaret Brammer (now Wilby) but had pondered this question. Fortunately, he was able to ask her as Margaret was attending the event to see the launch of a book of sketches by her recently deceased brother, Douglas Brammer: 'Sketches of Past Times Flushdyke and Ossett', published by local historian Alan Howe. 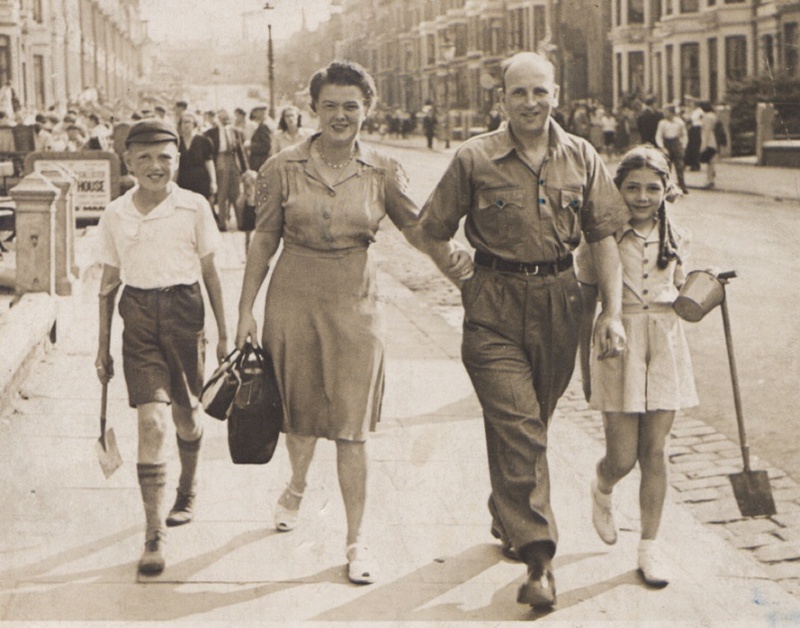 The Brammer family on holiday in Blackpool in 1946. "Margaret came over for a chat and I mentioned I had just been looking at a photo on the archive of her and her brother on holiday in Blackpool with their parents in 1946 and we looked up the two photos. She then explained that just before the photos were taken her father had just returned from service in the forces and had decided to take her and Douglas out of school to go on the holiday. Margaret did not like to miss school and unfortunately whilst they were on holiday the school photos were taken. Margaret, when she donated the photos to the archive, had explained this to Brian Smith who was inputting the photos to the archive. Brian, knowing she would have liked to have been on the school photos, copied the image of her head from the holiday photo and added it to the school one." So there you have it, not a ghostly apparition but instead a latterday attempt to hack the archive with a photomontage and share a personal story; exactly the kind of thing we intended for Weaving Ossett's History! Many thanks to Margaret Brammer for allowing us to share this story. 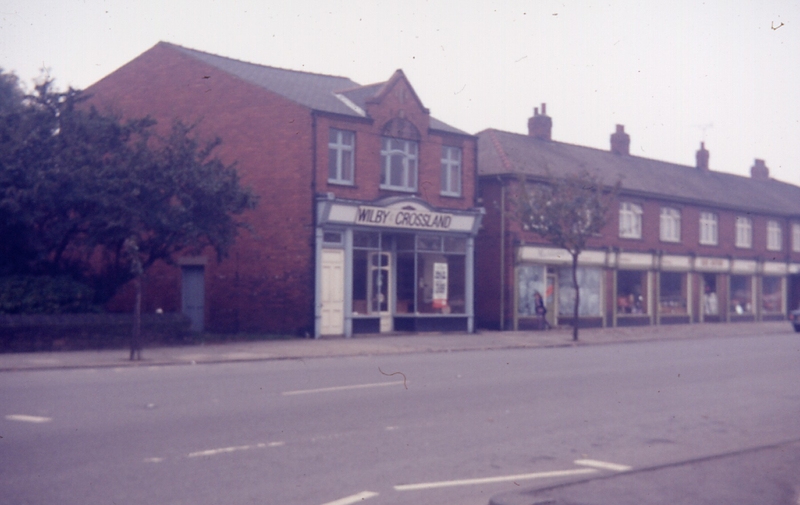 Kingsway, Ossett showing Wilby and Crossland, confectioners (formerly Griffin and Sayer). This propoerty was demolished when Ventnor Way was constructed. 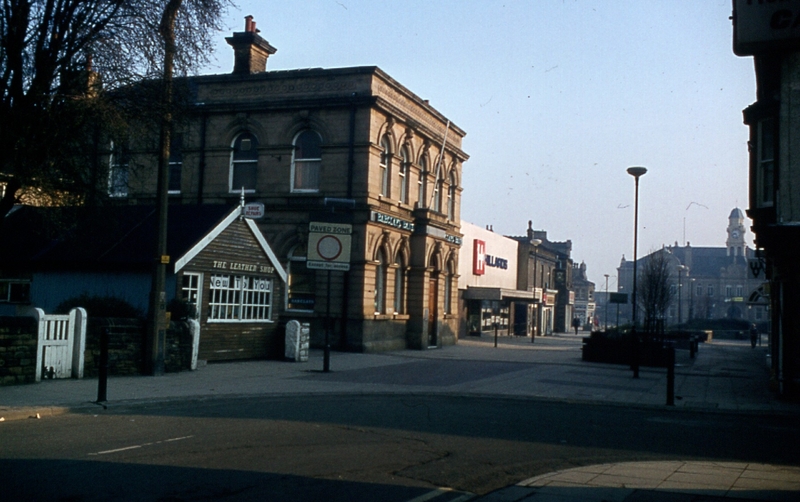 "The Co-op was the "heart of Ossett". Our family shopped there. The goods were of good quality and you could buy everything there, clothes, shoes, etc. Mum collected the "divi". After I married I used the co-op. I liked the independent shops as well. There was Bibby's, a shop selling baby clothes. Mum used Nettleton's for bread and there was another bakery at the bottom of Kingsway. There was a cobblers in Bank Street in a little hut where Phillip's hairdressers is now." Bank Street, Ossett showing the cobbler’s hut.